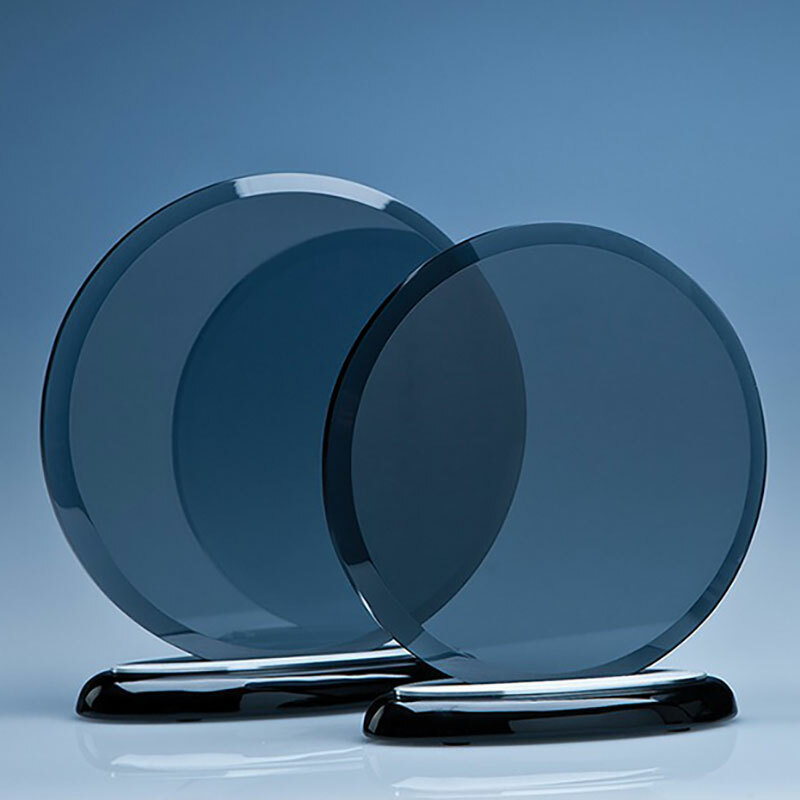 Simple and elegant, these 17cm crystal glass circle awards have a stylish smoked glass finish. 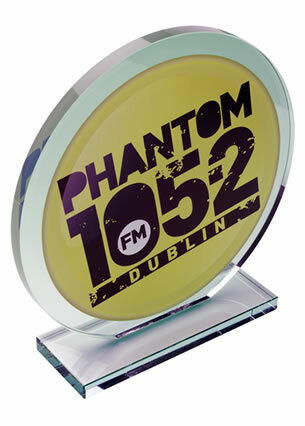 Mounted on a black piano finish base, they are ideal engraved as recognition or achievement awards. 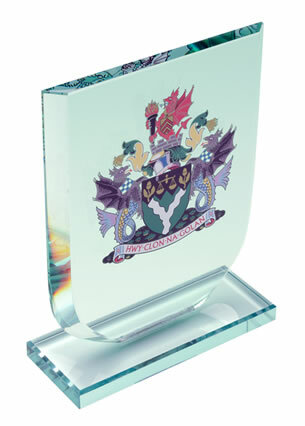 A glass circle award is a classic trophy, widely used as recognition or achievement awards across a range of sectors from sports awards to commemorative gifts to corporate awards. 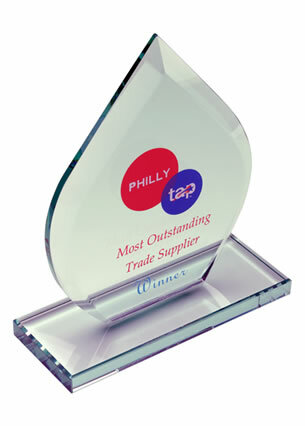 But other glass circle awards pale in comparison to these plaques as the smoked glass finish adds a touch of distinction. These 17cm flat glass awards have a thick bevelled edge on the body and are set into an aluminum housing which itself is mounted into a black piano finish wood base. They have a large area for customising with your event or achievement details, and are offered with engraving and/or colour branding options.